(BPT) - Are you the type of driver who pushes the accelerator a little harder on the curves of a back-country road? Are you a person who smiles as they approach a new terrain or road condition you’ve never conquered before? If so, you’re a performance seeker. A person who is constantly pushing themselves to prove that they are driver enough. The performance driver never wants to lose the feeling of adrenaline as they push their vehicle to the max, but as the seasons change, so do the road conditions and the challenges drivers face. We sat down with X-Games athlete, professional race car driver, professional stunt car driver and BFGoodrich(R) Tires ambassador, Andrew Comrie-Picard, or ACP, to better understand the challenges associated with wet weather driving, how modern tires can help prevent the loss of traction and skidding, and how they make the overall driving experience more fun – regardless of the season. The biggest danger with wet weather driving is how unexpected the road conditions and hazards can be. As the temperatures rise and seasonal showers pick up, standing water in puddles, still-cool spring temperatures, and the potential for showers to lift oil to the surface of the road can all compromise traction and lead to a skid or a possible accident. "Having the right tires is the number one thing you can do to prevent hydroplaning without losing performance often drowned out during the rainy season," says Andrew Comrie-Picard (ACP). "The proper tread depth and tire design can make all the difference in your vehicle’s ability to shed water, while increasing control on the road." Until recently, a tire with exceptional wet and dry traction in both high and low ambient temperatures was a dream of tire engineers and drivers alike. But the BFGoodrich(R) g-Force(TM) COMP-2(TM) A/S tire puts the best of both worlds in one tire. When tested against the leading competitors, it stopped up to 15 feet shorter on wet roads and 5 feet shorter on dry roads. Its superior traction isn't just good for braking in both dry and wet conditions, it also helps your vehicle accelerate faster, ensuring you don’t forfeit your vehicle’s performance to Mother Nature. ACP has driven in all types of conditions across terrains all over the globe – including a recent expedition down an ice road onto the frozen Arctic Ocean. He says it’s important to think like and become a performance driver in the situations where the road conditions deteriorate to ensure you do not lose control. ACP also says the key to this calmness is having a good understanding of your vehicle, its tires, and their limitations. "You need to be able to feel where the edge of your vehicle and its tires are so you know exactly how much you can push it in any climate or condition. A tire that communicates with you when it's sliding and when it's stopping is crucial," he says. 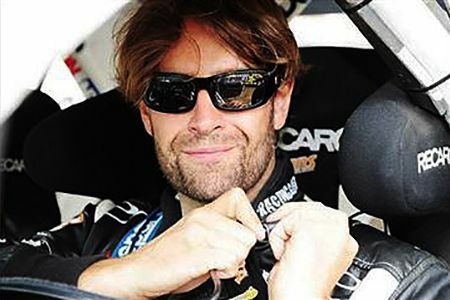 That kind of sensitivity is what makes tires so important for a performance driver like ACP and why he chooses the g-Force(TM) Comp-2(TM) A/S tire, because, as he says, "with these tires, you can feel your vehicle come back into control progressively. It’s like the tires talk to you." High performance tires help you respond to unexpected situations, whether you’re hydroplaning or starting to skid out. 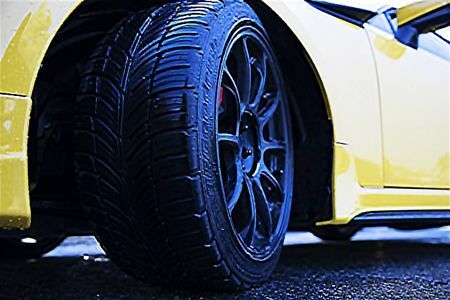 While greater traction during wet weather seasons is certainly argument enough, these tires also open your car's potential, making for a much more fun driving experience regardless of the forecast.